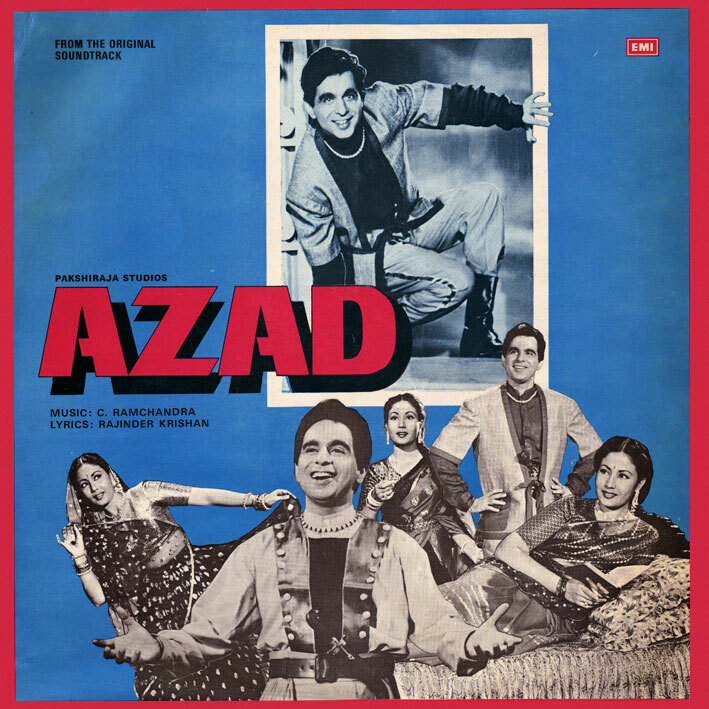 Another one, the last 50s soundtrack for the moment, here's 'Azad', scored by one Nahar Chitalkar (C.) Ramchandra. Several good tracks to be found; I'm really fond of the ones sung by 2 x Mangeshkar sisters, especially the joyous 'Aplam Chaplam'. And for those who think Western influences was something they first introduced to Hindi film music in the 60s (I used to), listen to the pretty 'Jari Jari O Kari Badariya', with an intro sounding as if it belonged in a South American cantina. A soundtrack definitely worth checking out. Nice to hear some old albums again. Good sounding rips. Yup, while hardly my favourite part of the Bollywood canon, I do find some of these older works rather pleasing. Excellent, being a kid in a candy store is good :-) And yes, there will more older works. It's indeed a great score by C Ramchandra, all lata numbers and that quawaali is awesome to say at least..